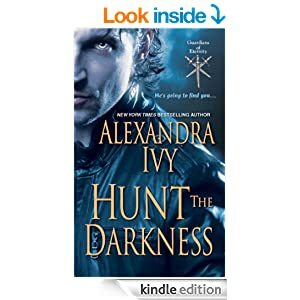 Hunt the Darkness, Alexandra Ivy. So, this is book eleven in the Guardians series…and as I’d read book one ages ago, and somehow never got to the rest I wondered how I’d get on with it. No problem is the answer 🙂 Though there are references to other events and people Alexandra makes it easy to keep up, and it seems each book is a complete novel, just how I love it. One day I’ll get to the rest! Its a book full of action, vampires, witches, gargoyles, Fae and other supernaturals…I love this sort of fantasy where there’s romance and danger, journeys and endings. Its a fun read, and kept me entertained til the very end. Stars: Four and a half, I really enjoyed it and maybe if I’d read all the series I’d have gone five. As it was I felt its a little light, and maybe what I missed was that connection of the story that runs through series like these. My fault, not the book. Love the cover to this 🙂 Great review!